Former N.W.A brothers Dr. Dre and Ice Cube are no longer named in the wrongful death lawsuit that stemmed from a vehicular incident that allegedly involved Suge Knight and resulted in the death of Knight’s friend, Terry Carter. TMZ reports the court ruled that the two aren’t responsible because Knight’s actions weren’t their fault. The legal trouble came from a 2015 incident where Knight was apparently caught on camera running over two men as he left a Straight Outta Compton filming location, mortally wounding Carter and injuring Cle “Bone” Sloan. 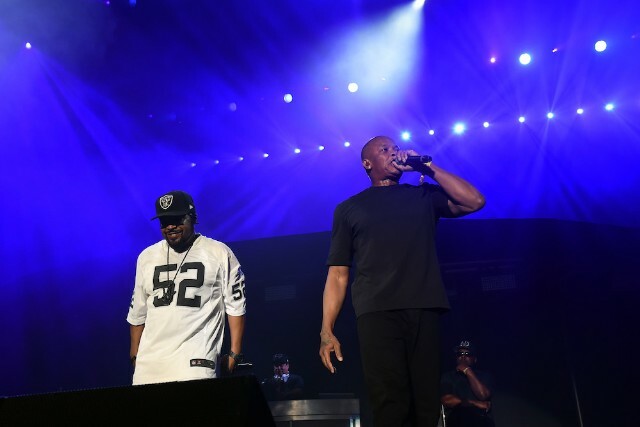 Carter’s family argued that Ice Cube and Dr. Dre were at fault for hiring known gang members to guard against Knight at the film’s shooting locations; the family alleged that the gang members instigated the situation. While Dr. Dre and Ice Cube are free, Knight is still in prison for the pending murder case. The Death Row founder is scheduled to begin his criminal trial on February 22.